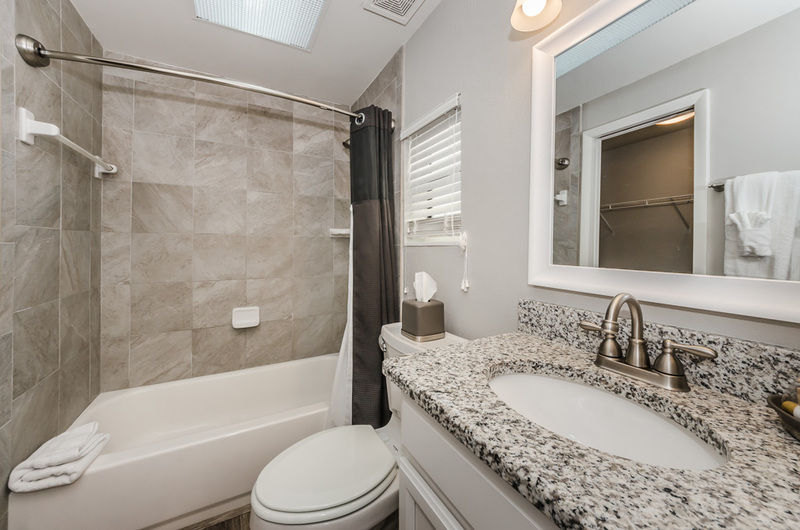 Remodeled bathroom includes new vanity, granite countertops and tub/shower. There is also a walk-in closet which is great for extended stays. White linens and a bag of toiletries are provided.